If you love to watercolor, consider getting the All That You Are stamp set. This set also coordinates with the Frosted Bouquet Framelits dies that have rolled over from the Holiday catalog. 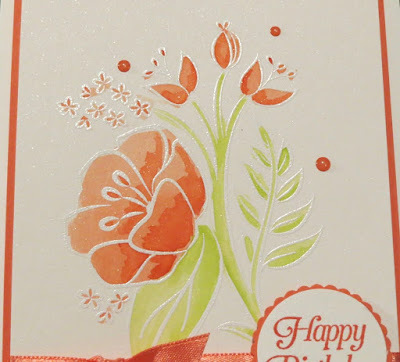 I stamped my image on Shimmery White card stock with Versamark ink and embossed the image with White Embossing Powder. 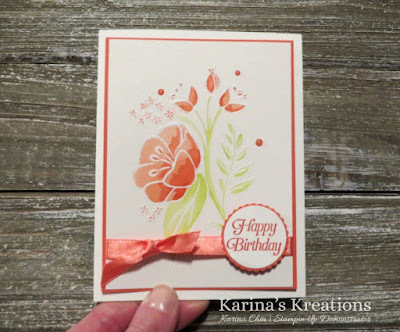 The image was colored in with an aquapainter and Calypso Coral and Lemon Lime Twist ink. 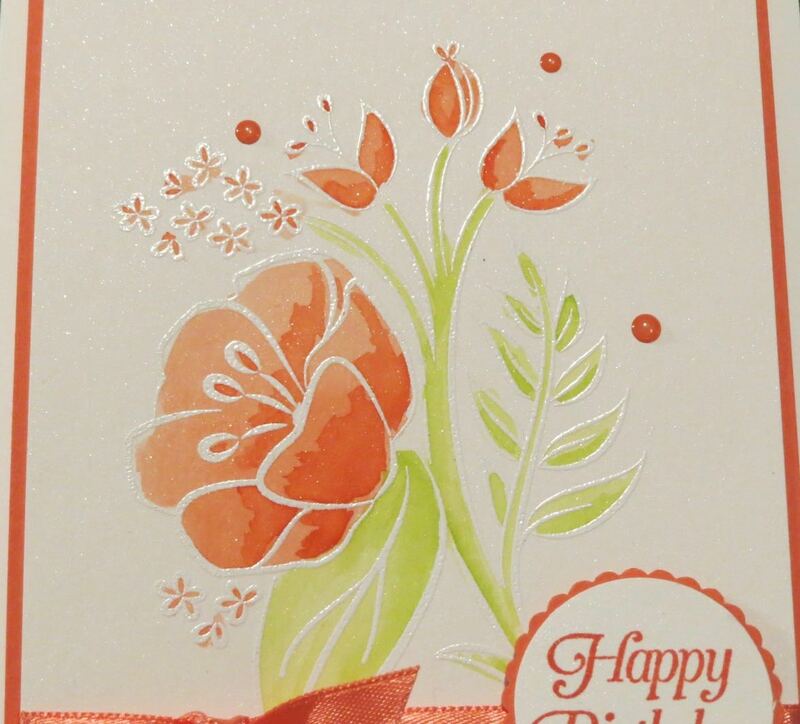 I added some Happiness Blooms Enamel Dots to my card. I'll be placing an order Thursday at 2:00 if you wanted to place an order. You can also click on a picture below to place an online order.